ARE YOU A LOCAL AUTHORITY OR A PUBLIC OR SEMI-PUBLIC INSTITUTION? ARE YOU LOOKING FOR OPPORTUNITIES TO PROMOTE DESTINATION CANNES AND THE FRENCH RIVIERA? At Cannes Rentals Certification you will find motivated and certified partners who are all actors in the rental sector for short-term furnished accommodation. The certification scheme guarantees to clients the soundness & reliability of the professionals that adhere to its charter of excellence and contribute to fighting against the commercial parasites and illegal operators in the market sector. We will be your partners in the effort to perpetuate the Riviera tradition of welcome and hospitality and to promote our beautiful region, giving pride of place to the professionalism of all involved and working in close collaboration with all entities seeking to promote and sustain tourism in the Riviera. By creating an accommodation product with a high level of service at an attractive price, as a complement to the traditional range of hotel accommodation, we are significantly improving the visitor accommodation capacity of the city of Cannes. As a result, during convention and festival periods, there are no fewer than 1000 apartments, all close to the Palais des Festivals and the beaches, which are available to supplement the 5300 hotel rooms in Cannes. All the agencies certified under the Cannes Rental Certification scheme have signed a demanding charter of excellence aimed at ensuring responsible cooperation among motivated professionals who seek to maintain value for money for destination Cannes and to promote the professional image of actors in the property sector exercising their business activities in total legality. Signatories to this charter have at the same time made commitments to Local Authorities through their adhesion to the ONLY CANNES charter drawn up in partnership with the city of Cannes. 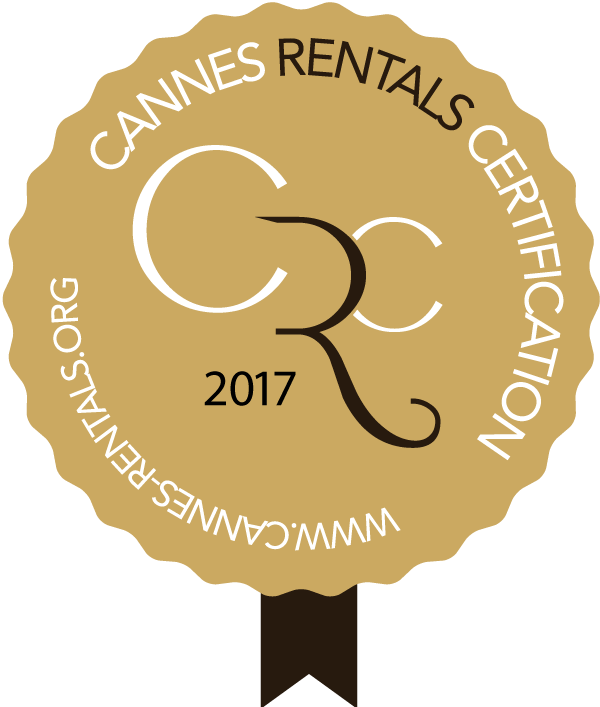 Last but not least, Cannes Rentals Certification has contributed to the dialogue between professionals in the short-term furnished rental sector and organizers of conventions. As a result, the organizers of major events in Cannes have been encouraged to promote agencies having the CRC label as being trustworthy professionals, thus ensuring peace of mind for the event organizers, who are assured of the reliability and soundness of the services offered to participants in their events – a win-win situation for all concerned!